The Astra 1000 is the Evolveʼs micro four third camera, with an integrated gimbal built for professionals, film makers and enthusiasts alike. 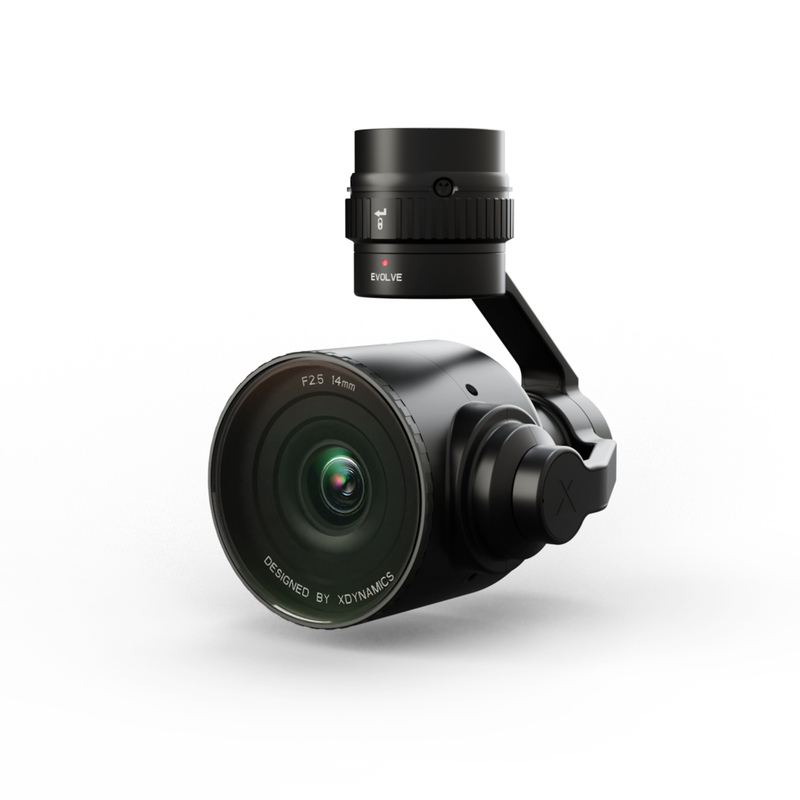 Using Sonyʼs most advanced micro 4/3 sensor technology, XDynamics introduces the m4/3 Astra 1000 camera, transforming the Evolve into a superior cinematographic aerial platform. 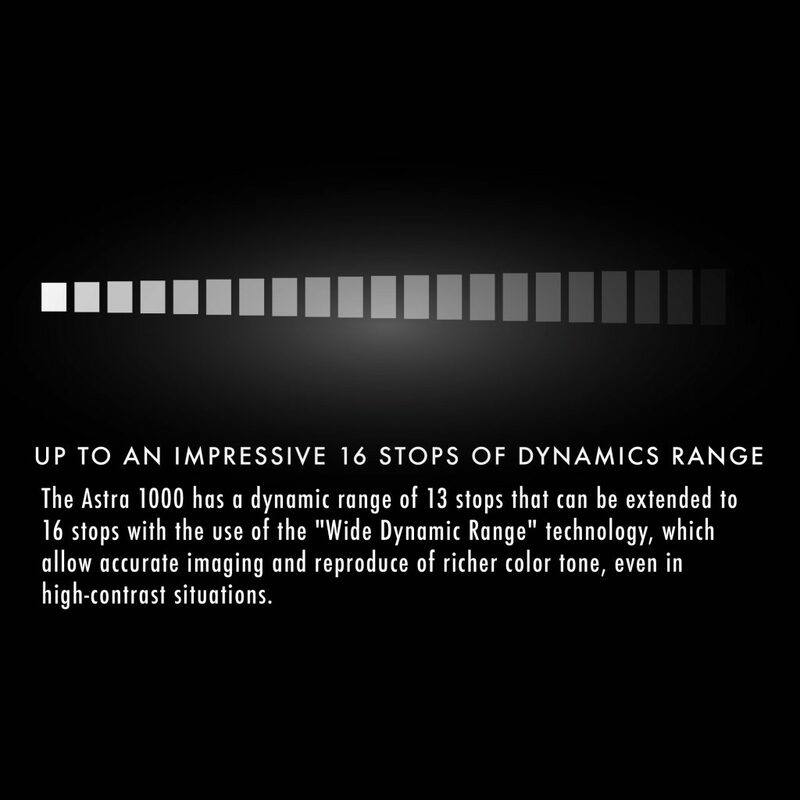 Designed with high-end professional use in mind, the Astra 1000 achieves low weight and compact size for an increased portability and flight time. 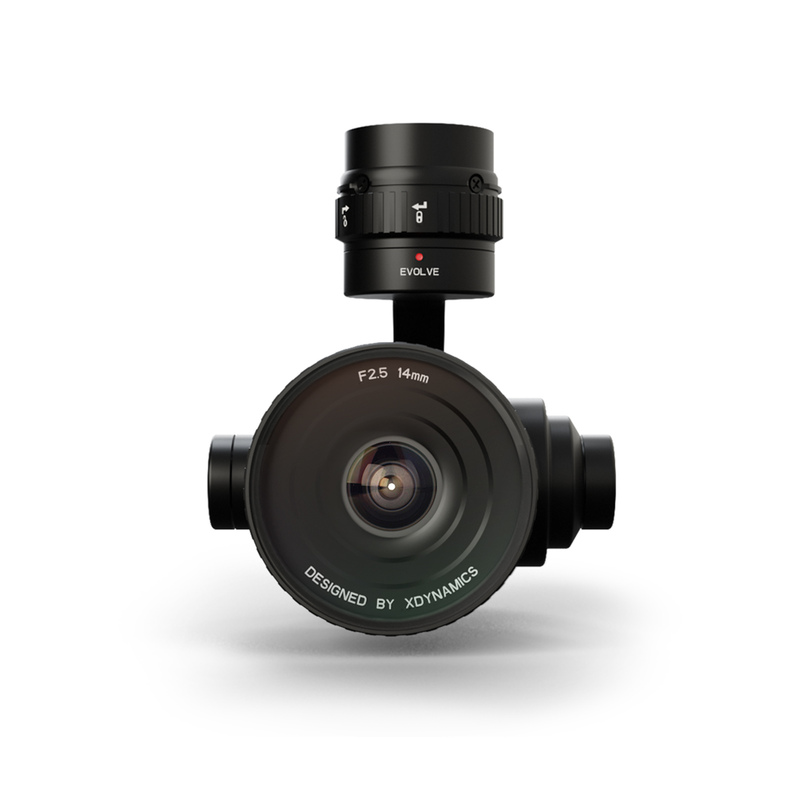 Users can expect a brand new imagery experience and the highest quality images in the smallest video file size possible with a system that can record videos at 100mb/s in 4k at 30fps in MOV format using the H.265 High Efficiency Video Coding system. 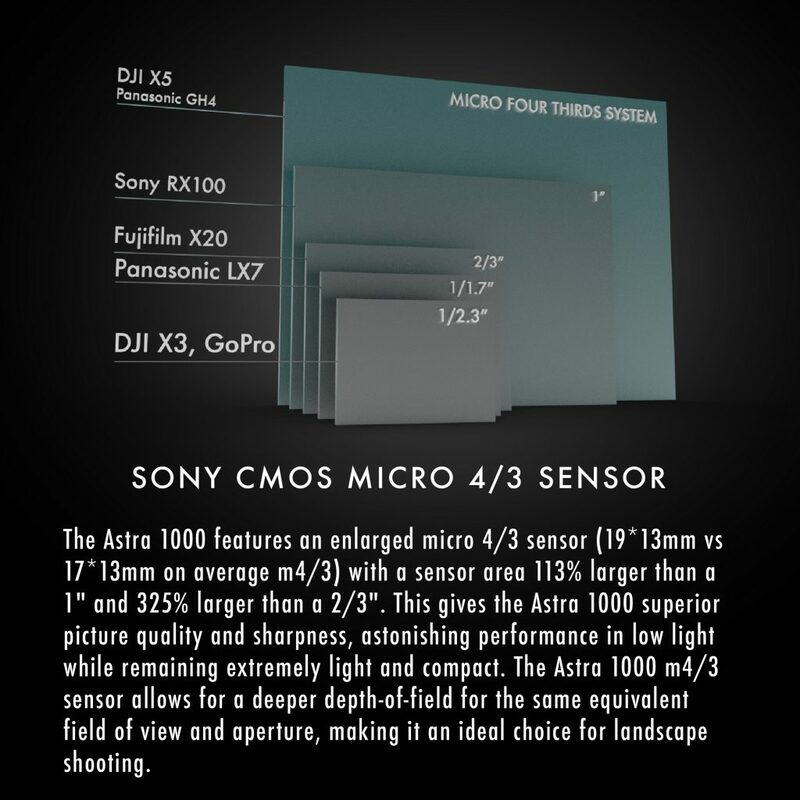 Taking full advantage of the micro 4/3 capabilities, that Astra 1000 provides an optimal balance between picture quality and sharpness, including in low light, and a reasonable need for CPU power, whilst benefiting from photographic extension proficiency of an SLR-grade camera. 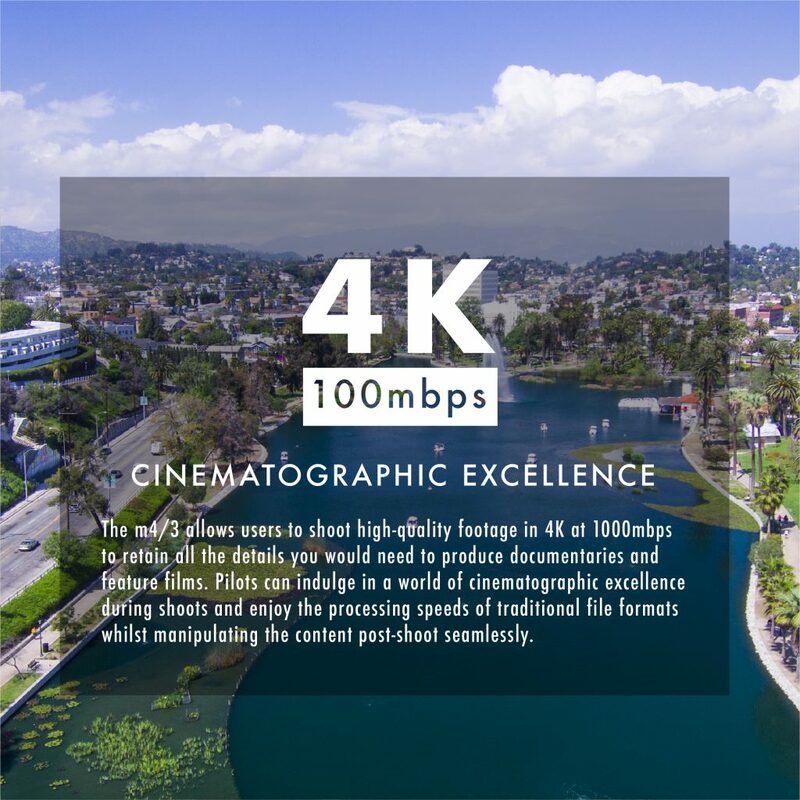 With an impressive 16 stops of dynamic range (when WDR is activated) and a 10 bit color depth, the Astra 1000 propels the Evolve into the realm of professional aerial cinematography and empowers users to create industry-grade content. 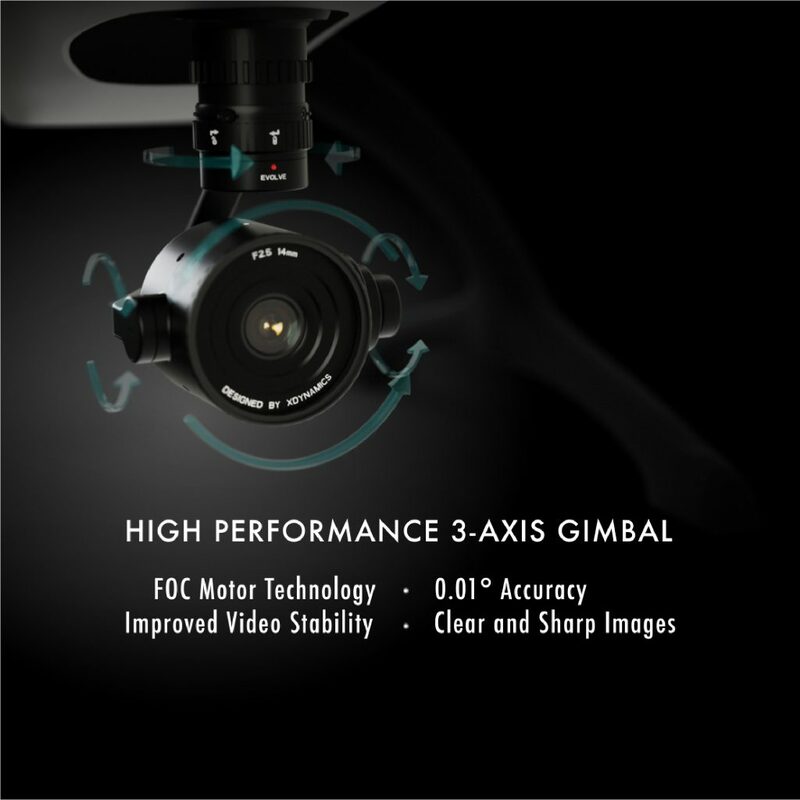 The camera is mounted on a customized gimbal that is stabilized by three brushless motors controlled by ​the FOC ensuring smooth shots, fast response time and an astounding control accuracy of ±0.01°. 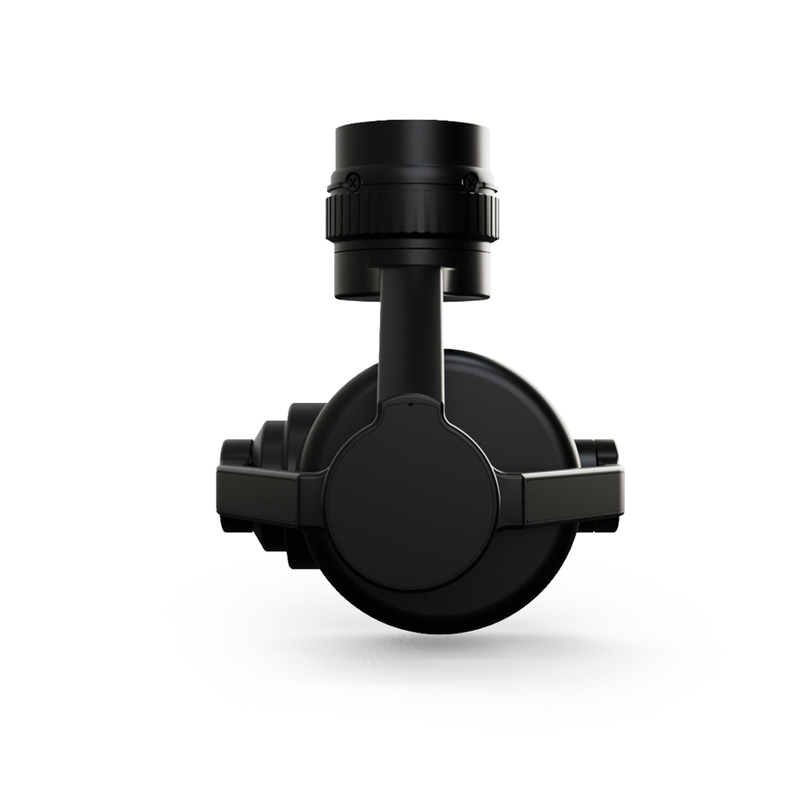 The m4/3 Astra 1000 allows creators to fully benefit from the Evolve aerial platform combining professional aerial technology with powerful imaging capabilities. 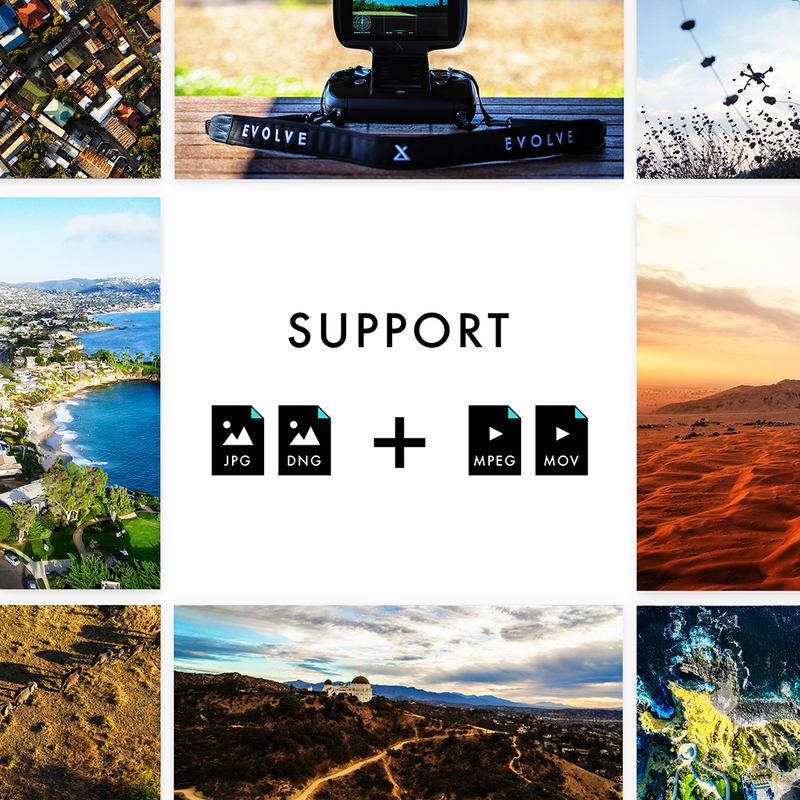 Is the SD card provided? 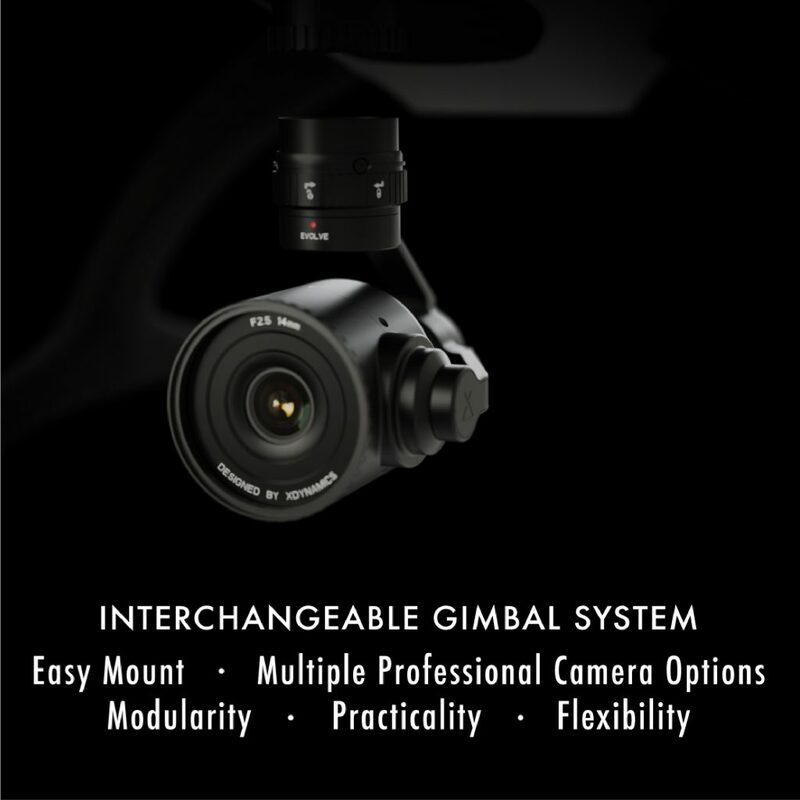 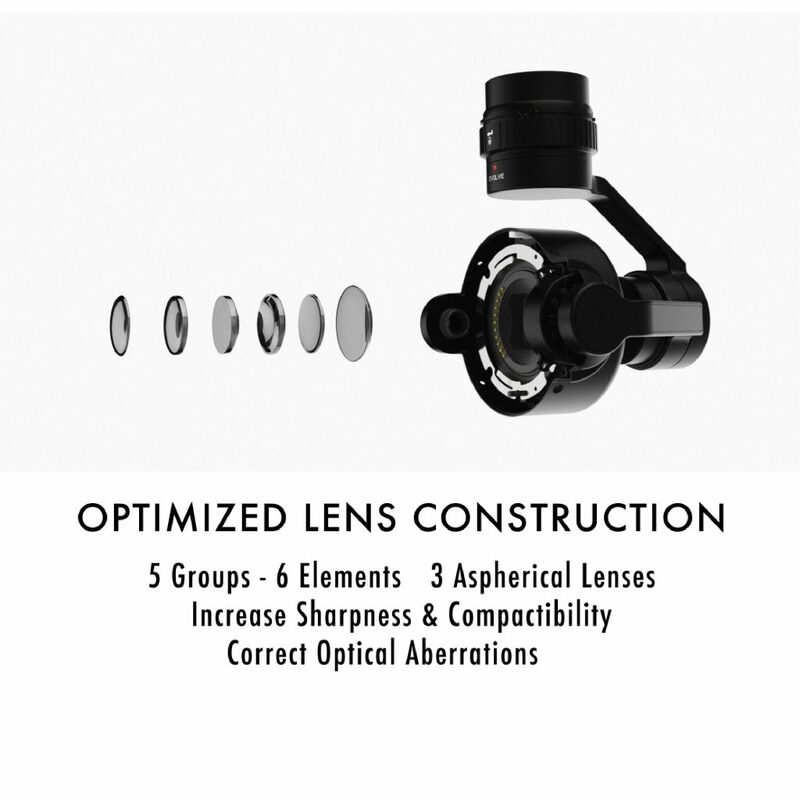 What are the rotation angles of the gimbal? 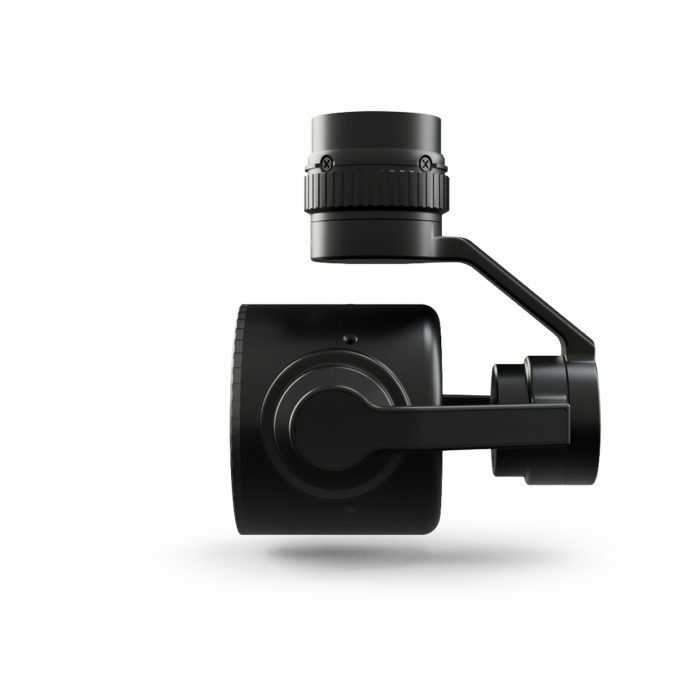 Evolve uses a 3-axis gimbal for an optimum stabilization of the camera.